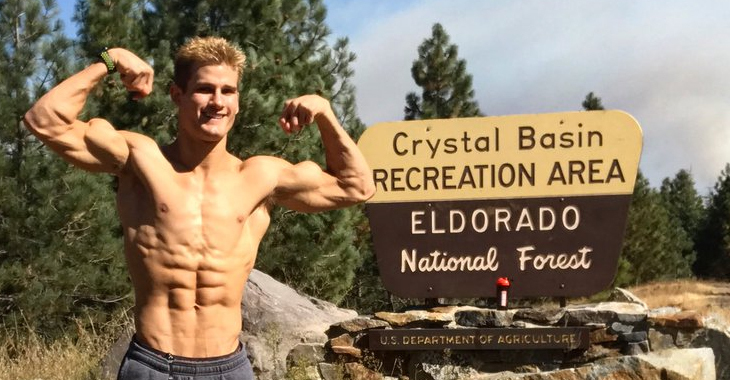 The kid tested, mother approved Sage Northcutt is no stranger to doing death-defying flips inside the Octagon. We all have grown familiar with his Power Ranger post-fight celebrations and his fruit-crushing outside of the cage. Back in October of last year, he nearly gave us a heart attack hiking with Team Alpha Male, but it turns out he nearly had one himself on another day by himself when he almost reenacted the bear scene from The Revenant. “I literally sprinted two miles as fast as I could, hiked down the waterfall and made it back to my truck. So that was a crazy story because I felt like I was gonna get eaten. It was pretty crazy because at first I was like, maybe it’s a cougar, maybe it’s something… I didn’t know what it was. And I’m over behind the waterfall where the water’s coming out, and I take my phone out and I’m trying to Google if there’s bears in California. And then I remembered, like, I saw a statue of a bear. It was a gold bear or a silver bear in Sacramento like an hour and a half away. So I’m like OK, like, there’s gotta be bears. So then I just waited, I was completely quiet and didn’t move. And then when it stopped, I was, my heart was definitely racing cause I took off so fast. 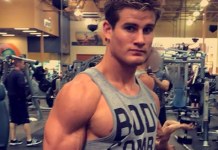 My adrenaline was going so much I felt like I was floating on my feet, like, flying.” – Sage Northcutt speaking to Submission Radio. Can someone send this recap to an agent? This sounds like a movie. 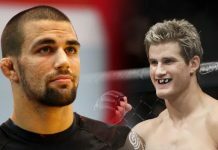 Sage Northcutt is hiding behind some sort of ice cold waterfall waiting in suspense while a bear growls and plods around in his general vicinity. Of course, in the movie Sage Northcutt would run but the bear would catch up and there would be some sort of crazy nature parkour involved. Killing the bear consequently with a pocket knife doesn’t seem like Northcutt’s style, so it would probably end with the two becoming friends and the UFC fighter being the unnoficial protector of the forest.